Designed for use with overhead garage door hardware. 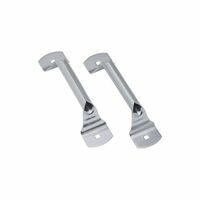 Ferrules used to clamp cable loops into fixed position while stops finish off cable ends or act as stopping points at any location on cable. Card contains 2 ferrules and 2 stops.